Our Basotho Village offers luxury accommodation with all the modern day comforts. Enjoy a sunset cocktail and watch the game wandering by, only metres away. Corporate events from 20–1 000 people can be hosted at Emoya Estate, with a range of air-conditioned venues for corporate events, conferences and prize giving ceremonies. Emoya Estate Private Game Reserve, Conference Centre, wedding venue and Spa is situated on the western border of Bloemfontein, the capital of the Free State. This region is also known as “Big Sky Country”. This 270 hectare Game and Nature Reserve is located in a pristine natural setting and offers visitors ‘Superior Accommodation’ as rated by the AA. Whether you are in Bloemfontein on business or just passing through - Emoya Estate has the perfect venue and accommodation just for you, with the option of staying in the luxurious Basotho Village Lodge, which is within the safety of this private game reserve environment. 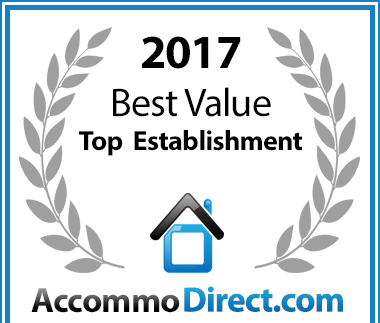 Emoya Wildlife Estate and Spa in Heuwelsig Suburb has been voted a Best Value establishment for Bloemfontein accommodation. Basotho Village offers luxury rooms with all the modern day comforts such as Flat-screen TV, an outdoor shower, swimming pool, bar, room services, en-suite dressing room and bathroom with a shower and bath, shuttle services, airconditioning, coffee & tea facilities and Wi-Fi internet access. Sit under your verandah and watch the game wandering by, only meters away. There is a swimming pool with pool loungers at Basotho Lodge for those making use of our accommodation facilities. Enjoy cocktails while sunbathing next to our dam-like swimming pool in summer. Contact Emoya Estate if you wish to make a booking or wish to find out more about what we have to offer. Our Wedding and Function Venues are simply breath-taking, capturing a natural setting perfect for hosting fairytale weddings, professional conferences and exclusive functions. Enjoy a spectacular sunset with a glass of wine or sit next to a crackling fire in the bush lapa, gazing at the stars and listening to a black jackal’s call or the roar of a lion. Visit the Cheetah Experience, world renowned cheetah breeding facility which was featured on Animal Planet, Pasella and Carte Blanche. Come eye to eye with real cheetah, lion, carical, canadian wolves and tiger. Touch and interact with lion, tiger and cheetah cubs and other bigger animals. Take a game drive with our professional game ranger and encounter up to 33 species of wildlife which include white rhino, giraffe, springbuck, sable, gemsbuck (oryx) and many more. We have an onsite fully licensed pub where guests and locals of Bloemfontein can wind down at the end of the day. Experience a REAL Shebeen atmosphere with pool table, bar, live music and a township atmosphere. Come and enjoy an ice cold quart of beer while listening to quirky music or take on your buddies at the dart board or pool table. Come enjoy cold refreshments along with wood fired pizzas and a mouth-watering snack menu. Bring the entire family to watch the ducks in the pond or play put-put. Kids can be kids and play on the jungle gym and new play park . Emoya is proud to welcome a new and exciting feature this June, the ever popular Mozambik franchised restaurant has brought their exciting Afro-Porto cuisine to Bloem. Come play putt-putt as a family or practice your swing at Emoya Driving Range. Our Wedding and Function Venues are simply unique and breathtaking, capturing a natural setting, perfect for hosting fairytale weddings, professional conferences and exclusive functions. Relax in our world class Emoya Spa which offers an unique experience of True African indulgence with the only Turkish Rasul (mud treatment) facility in Central South Africa. Emoya Estate is located in Bloemfontein, which is in the heart of South Africa. Emoya Estate is also located near one of South Africa's primary airports which allows for easy access to all the major tourist destinations in South Africa. Emoya Estate is renowned for its exquisite function and conference facilities. Emoya was awarded the 2012 PMR Best Conference and Convention Centre in the Free State. Established in 2010, our Shebeen Bar & Function Venue is perfect for bachelors or hen parties. Enjoy the Sound, The Taste & The Vibe. We are open till late.